Watch Bullet For My Valentine's Blistering New Video For 'Over It' - GENRE IS DEAD! 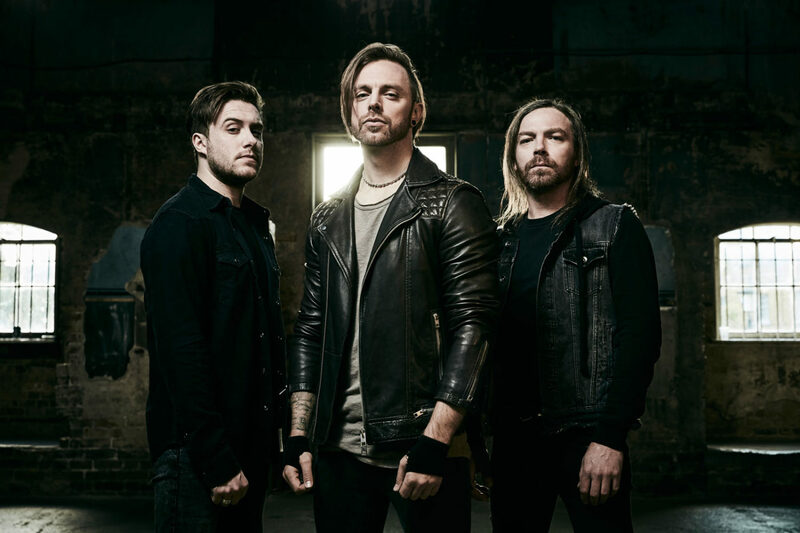 Bullet For My Valentine have unveiled their new music video for their current single “Over It.” Directed by Stuart T. Birchall of Numinous Pictures, features the band playing in an illuminated room mixed with footage of a young woman who makes a shocking transformation. Check out the video below. The track is taken from their upcoming album, Gravity, out June 29, via the band’s new label, Search And Destroy. The follow up to 2015’s Venom, marks the band first with new full-time drummer Jason Bowld, who’s been touring with the band for the past two years. Former drummer Michael “Moose” Thomas originally sat out the tour to spend time with his family. In support of the new LP, Bullet For My Valentine will hit the road this spring with Trivium and Toothgrinder. Check out all the dates here. Pingback:Bullet For My Valentine Share Dark New Video 'Letting You Go' - GENRE IS DEAD! Pingback:Album Review: Bullet For My Valentine - Gravity - GENRE IS DEAD!